Descendance in Sydney: completing corporate work, International Conventions, Schools, Community Work, Radio Work, Festivals, Jails, Cruise Liners, workshops, and assignments for The Australian Government. Thuringowa Festival North Queensland, Descendance presents a twenty piece dance ensemble which covers all three indigenous styles, traditional mainland, Torres Strait islander and contemporary. The concert was also filmed by the Discovery Channel for the documentary Atlas Australia. Descendance at “The Dreaming Festival”. The Inaugural three day festival of the countries leading indigenous acts, Woodford in Queensland Australia. George conducts workshops in Yirakala, in Arnhemland Northern Territory. Descendance in Los Angeles, perform at The G’Day LA promotion for The Department of Foreign Affairs, highlights included performing at The Nicole Kidman and Mel Gibson tribute, The Egyptian Theatre in Hollywood and supporting Steve Irwin at various venues. Descendance at the Dome Olympic Park, George leads a 30 piece dance ensemble in nine performances at one of the biggest corporate events ever held in Sydney for Amway China. Descendance open Virgin Atlantic Airlines, Richard Branson owner of Virgin select Descendance to open his International Airlines. 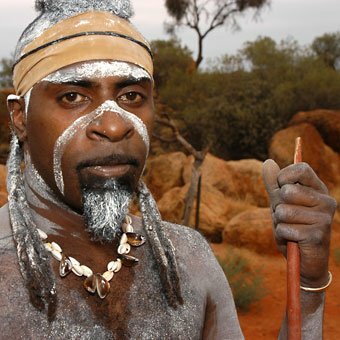 Descendance in Alice Springs at the Red Centre Resort, performing two shows a day, George completed a three month season as a singer, didgeridoo player and principal dancer. Descendance returns to Seoul Korea for The International Drum Festival, over 30 countries from around the world take part, George leads Descendance to audiences of over 30,000, Descendance receives special award from Seoul City Government. Descendance wins the First Cultural style Olympics in Seoul Korea at the World Culture Open sponsored by UNESCO, George’s dance plays a major role in Descendance taking the World/Dance peace prize. “The Giz performance for Greece in 2004, The show was a cultural exchange before the 2004 Olympics, Australia’s gift to Greece. “The Giz” Theatre performance at the Performance Space Sydney, Albert David’s ground breaking production of contemporary and traditional Islander performances. Rugby Union World Cup, George led the Descendance Torres Strait islanders at the opening of the Rugby Union World Cup at Olympic Stadium to a TV audience of 1 billion, this showed his maturity and coming of age as the complete performer. Eastern European Tour Descendance, his overseas debt tour of Central Eastern Europe was a smash hit, where he performed at 35 major festivals, and made 8 major TV appearances, and proved he was truly one of the groups emerging stars. Sydney Dreaming” playing a leading role in the Rhoda Roberts epic indigenous showcase “Sydney Dreaming”, where he came on to the stage in a canoe at Olympic Park down Lake Belvedere in 2002, and led the Torres Strait Island section in 2003 which was one of the highlights of the festival. United Nations launch for Aus-Aid in at parliament house Canberra, a dynamic traditional and contemporary performance with Balinese dancers. Opens Reconciliation House for Prime Minister John Howard in Canberra with a Torres Strait Island performance. “Portal” in 2001 (Bodies, Newtown Theatre Dance Season), made critics stand up and notice him as an emerging indigenous talent by effortlessly dancing in fusion with Flamenco and Indian Cultures.